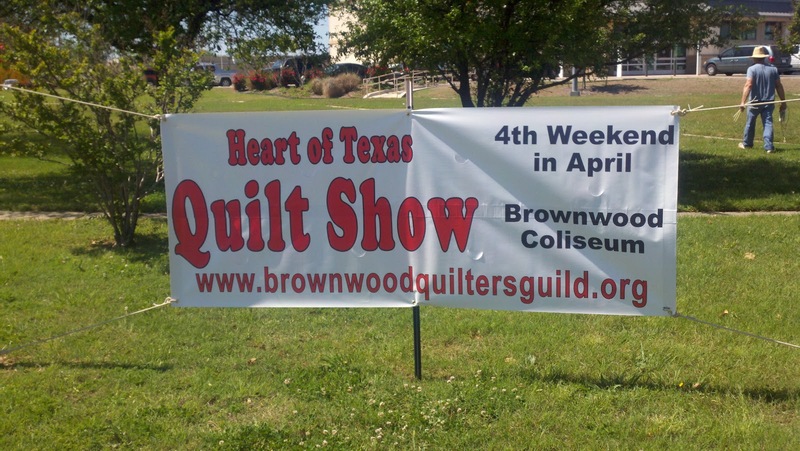 The April meeting of the Brownwood Quilters Guild was spent making preparations for the upcoming Heart of Texas Quilt Show to be held April 28th and 29th at the Brownwood Coliseum. Members were given the opportunity to sign up to help in different areas during the show and a lot of last minute questions were answered. Everyone is starting to get excited about the show! We hope to see everyone there!